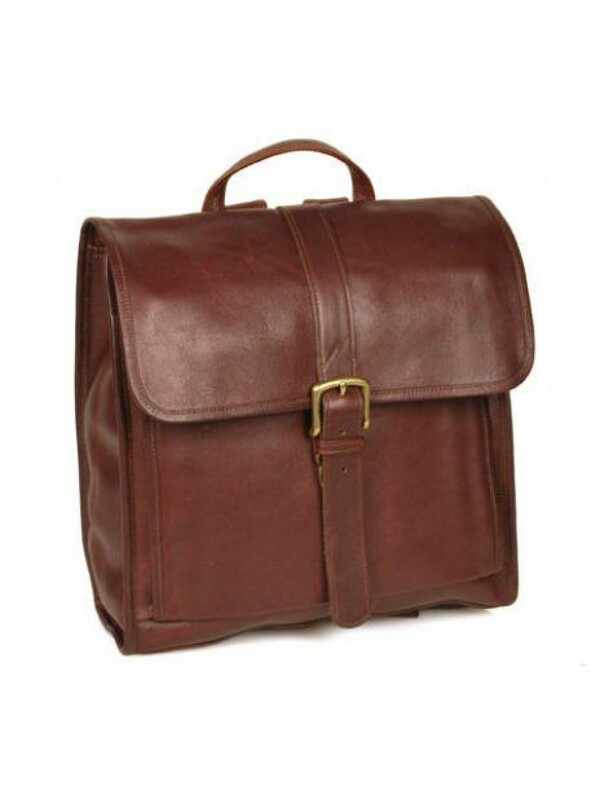 This bag can be used as a messenger bag or a backpack features a decorative single buckle front closure. It accomodates laptop and legal size documents and boasts a full length zippered organizer compartment. • Inside full length zippered compartment with organizer for pens, credit cards, cell phone and receipts, cell phone and receipts.